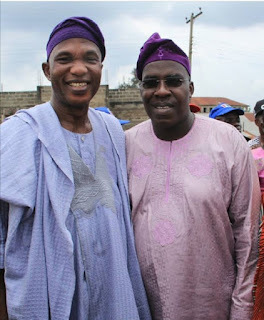 The flagbearer of the Action Democratic Party, in the last governorship election in Osun state, Alhaji Moshood Olalekan Adeoti has debunked the speculation that he had returned to the All Progressive Congress. In a statement issued by the leadership of the party in the state, Adeoti, the acting Vice Chairman of ADP in the Southwestern region of Nigeria, was quoted as saying that since dog could not return to its vomit, nothing would make him defect to APC. Osun ADP therefore called on the electorate especially those in Osun West Senatorial District to disregard the rumour being peddled around saying it was a blatant lie that emanated from desperate politicians. "A dog does not go back to its vomit,Alhaji Adeoti remains the symbol of ADP in Osun State and will never admonish his teaming supporters especially people of his home town,Iwo,to vote for any candidate except those fielded by the ADP.
" We therefore called on the people of Osun West Senatorial District to ignore these disgruntled politicians who had become jittery with the failure staring them in the face and go out en masse to cast their votes for the ADP senatorial candidate Omooba Dotun Babayemi and other candidates of the party fielded for various political posts on Saturday, February 16, 2019," the release reads.